As default, you can only use HTML code in HTML report. If you also want to use markdown syntax, there is also available. To enable markdown, please click Settings -> Customization, and find the Markdown checkbox in the Properties page, check it to enable markdown syntax. 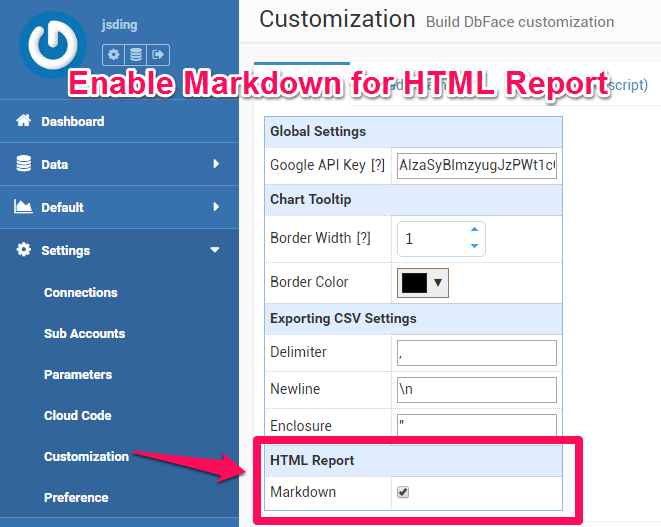 After doing this, DbFace will parse markdown symbols before displaying the HTML report. Here is a simple example.